With a new accelerator program the Vodafone Institute for Society and Communications, together with the support of their partners Impact Hub Berlin and the Social Entrepreneurship Akademie, has set sail to support female entrepreneurs in their endeavors to grow their startups into successful businesses. The setting for the program is Berlin, one of the most vibrant startup hubs in the world. 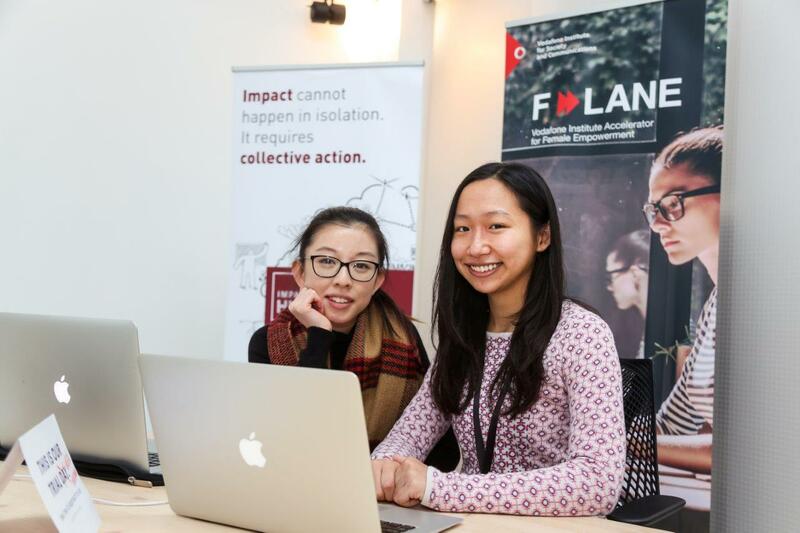 In the course of six weeks, the five participants of the first F-Lane Class undergo a tough schedule full of lectures, private coaching, meet-ups and other events, press appointments and of course regular pitches in front of different crowds. The weeks are filled but the founders also get enough time to manage their businesses since there is still daily operation of their business going on which should not be neglected. To give you an idea what the daily life during the accelerator program looks like we’ll go through a week in the program in cross-section. Every week has a different motto and the entire program is planned around this motto. For example, the first week has been named “Know who you are”, followed by “Know what you do” or “Know what you need”. And every week brings new challenges but at the same time new learnings. 9 a.m. – It is time for the weekly check-in. What’s to come this week and what are the goals of the five participating teams. Most of the founders brought either their co-founders or a team member to work on the progress of their startup together. Every week each participant also has to set their own goal for the week and define a word. A word that stands for what they want to reach the respective week. 10 a.m. – Time to learn. Time for lectures. Every Monday morning F-Lane invites a specialist to speak to the founders about important topics that will help them to further develop their startup. They speak about Business Models and Impact Analysis, about Leadership and Charisma, Organizational Management, Funding or Communication and Campaigning. 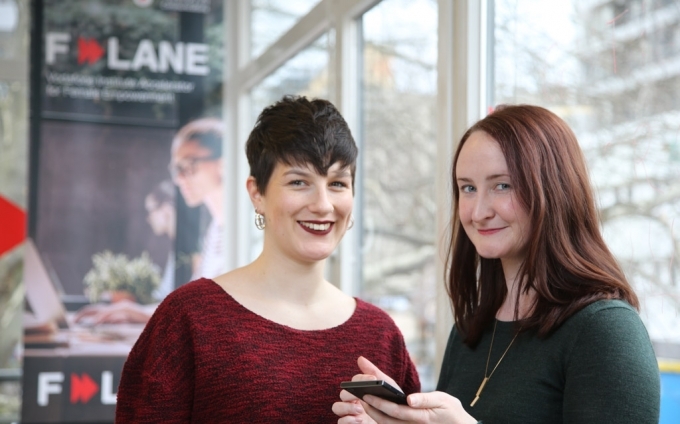 And of course, they also tackle tech topics as F-Lane is a tech accelerator. It is the theoretical part of the program where the five founders and their partners get to learn more about what is possible regarding a successful and sustainable business. 2 p.m. – After the lecture it’s time for lunch. The lecturers stay for the afternoon to discuss questions that have come up during the morning sessions. And the founders can take these chances to dive into every lecture’s topic. 9:30 a.m. – The program on Tuesday varies from week to week. Sometimes it starts with a lecture and sometimes with a coaching. The coaching then also continues in the afternoons. There are individual sessions for each founder or each team with their personal coach. During the sessions they work on specific topics, questions or problems of their respective start-ups. It does not get more individual than that. The coaches themselves are founders and experts from similar industries and they can share a lot of input with the five participants of the F-Lane program. The coaching sessions are the perfect way to really dive into each product and business model, examine what may be flaws or define more specifically where the journey should head to. 3 p.m. – After lunch there is more time open for coaching sessions. Teams who don’t have a coaching session can work on their operational business or use the time to attend meet-ups or events to network. 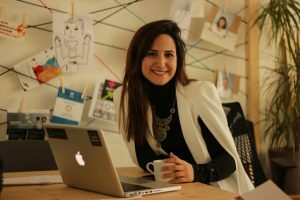 They can use the time to meet other creatives and founders which is very easy in Berlin. There are normally several events every day of the week and the range of topics offers something for everyone. There are two weeks during the six week program that differ from the rest: Week four and week six, the final week. Week 4 – An excursion. 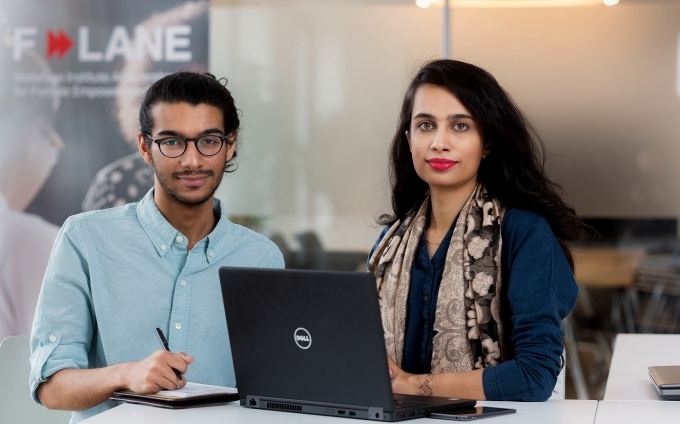 The F-Lane teams travel to Düsseldorf on Tuesday to Vodafone’s headquarters in Germany. They are staying for two days of full program, including a visit at a castle for dinner and karaoke. But first, they have to work. Because that particular Tuesday the teams have their midterm pitches in front of the Vodafone management. Since everyone is keen to perform well they spend the entire morning practicing their pitches. The midterm pitches are the first barrier in the program they need to overcome but as stressful as it is to prepare it is also a great possibility to get feedback from professionals. And with this feedback they can improve their individual pitches for the future. Back to the regular weekly schedule, let’s continue with Wednesdays. 9:30 a.m. – Wednesdays are completely reserved for individual coaching sessions for the teams, both in the mornings as well as in the afternoons. 12:30 p.m. – Lunch on Wednesdays is special as it is the Impact Hub’s community lunch. 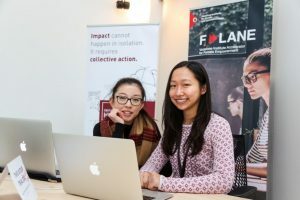 It is a great opportunity to connect with the members of the co-working space. It’s a very mixed crowd of founders and freelancers and a good opportunity for the F-Lane founders to not only meet new people but also look for skills that they need for their businesses. Often just a conversation with someone who does have a skill they are looking for can solve a problem or open up a whole new perspective on it. Community lunch is definitely the time to grow their network and their knowledge. Plus, there is food. 7 p.m. – Wednesday is also the day of the week where most of the extra-curricular events are taking place, such as Angel’s night, Founder’s night or Press night. These are the events that the F-Laners get to pitch their stories individually to the respective group of people. This is also the time when they can utilize what they have learned during their lectures and their coaching sessions. Every public or semi-public event is just another opportunity to pitch their project and get feedback. 12:30 p.m. – On Thursday mornings the teams have time to work on their weekly pitches which are taking place Thursday afternoons. The slide deck for the pitch has to be delivered just before lunch. 16:00 p.m. – Time for the weekly pitches. Every team has to decide what target group they want to pitch to and then present their business to exactly this group. After the pitch each founder gets feedback from the F-Lane team. The feedback is on how they present it – on the content but also their posture, their speaking voice and the slide deck. This is the time of the week when each F-Laner can find out how much they have improved compared to the previous week and can take in all the feedback for next week. 18:00 p.m. – Time for the weekly checkout. As Fridays are free for the teams to take care of their operational business the weekly checkout is just after the pitches. During checkout, the founders can reflect on their goal for the week and if they have reached it. There is no official F-Lane program as each founder has a business to take care of. And the weekends are free. Some of the participants use the time to explore Berlin and some even travel to nearby European cities. And then we have the final week that stands out from the regular program. Week 6 – the Final Week. During the last week of the F-Lane program there is a lot going on. Monday and Thursday are the only regular program days and these are similar to the other weeks. One highlight of the week is a public event with the German Federal Minister of Family Affairs, Senior Citizens, Women and Youth, followed by other keynote speakers and a panel of successful female founders. 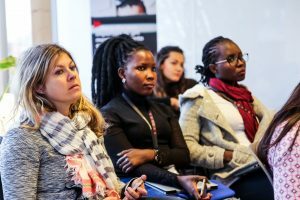 The event “Women in Tech – Breaking the Glass Ceiling” not only attracts a lot of attendees but also important members of the press. 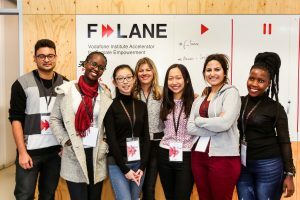 The highlight of the event: The F-Lane founders get to pitch their start-ups in front of the biggest public crowd during the program. The other highlight is the final pitch of the program – the founders get to pitch in front of investors. 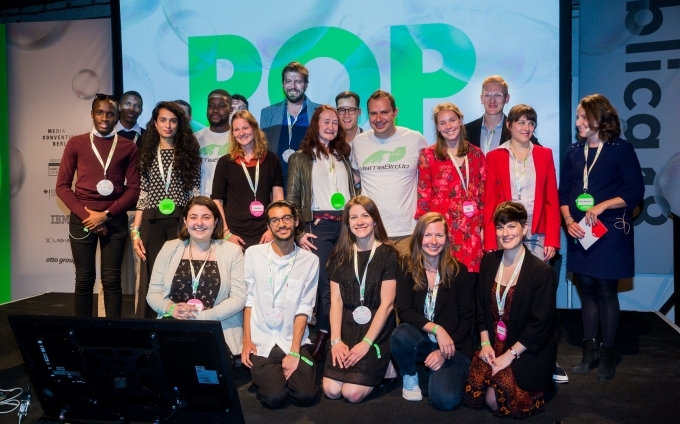 Six weeks full of lectures, coaching, pitching sessions and networking. Six weeks building a business and growing a startup into the successful enterprise. And, of course, six weeks of making new friends. 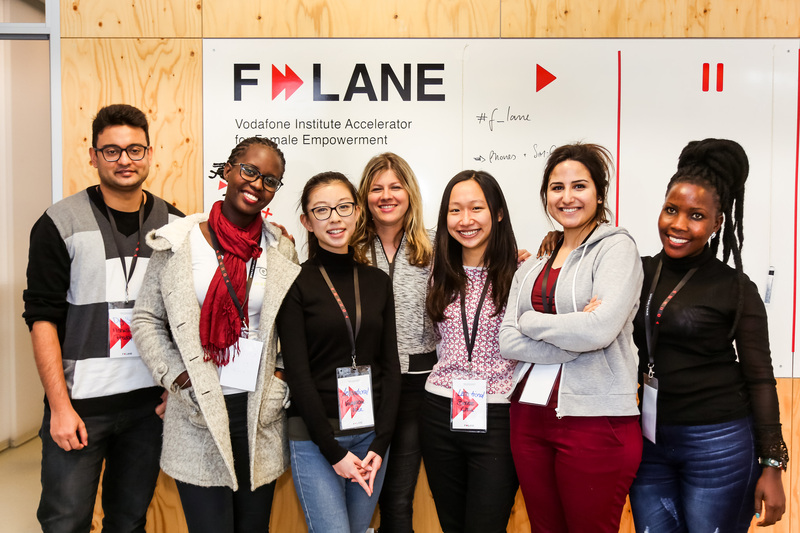 This is Vodafone’s Accelerator for female Tech-founders. This is F-Lane.